We acknowledge the receipt of your letter, dated February 24, 2014, which was routed through Mr Tony Akiotu, Group Managing Director, DAAR Communications, Abuja, wherein our late father, Chief Gani Fawehinmi(SAN) was chosen as one of the awardees of the Centenary celebrations of Nigeria by President Goodluck Jonathan. We want to thank the Federal Government for considering our late father for this HONOUR. 1. In the list of the awardees published by the Federal Government, was the name of former military dictator, General Ibrahim Babangida, who as military president, severally detained and tortured our late father. In the course of one of such illegal and inhuman detentions, our late father’s cell was sprayed with toxic substances while in Gashua prison in 1987. The cumulative effect of that dastardly action led to our father, a non- smoker, contracting lung cancer which eventually led to his death on September 5, 2009. We therefore, find it morally incongruous and psychologically debilitating for our family to stand on the same podium with General Babangida to receive awards. 2. Our late father was empathetic to the sufferings of our people, particularly students. In the last 72 hours, 59 innocent students were mowed down by the blood- thirsty Boko Haram terrorists in Yobe state, while 20 other girls were similarly abducted by these same band of terrorists. These girls are still in captivity while their fate is unknown. If our late father were to be alive, would he be wining and dining with all the glitterati at a Centenary celebration under these circumstances? Certainly no. 3. In the past few weeks, the polity has been assaulted with putrid odour of corruption with the alleged $20 billion missing in NNPC, a development that became the Achilles heel of Mallam Sanusi Lamido Sanusi, the suspended Governor of Central Bank. As an anti-corruption activist, if he were to be alive, our late father would have confronted the issue head-long and possibly gone to court. With the issue still raging, would our late father have accepted this award at this critical moment? Certainly no. 4. Our late father was unrepentantly for the UNITY of Nigeria. However, with the level of profligacy in some of the events celebrating NIGERIA’S Centenary, our late father would have preferred these multi- million Naira expenditures channeled to our decrepit Teaching hospitals, than unproductive razzmatazz that do not improve the socio-Economic well being of our people. Sir, for these reasons, our family respectfully declines to receive the award about to be conferred on our late father by the government. Please, accept the assurances of our highest consideration. Long live Federal Republic of Nigeria. I thank God that I am alive to read this rejection letter by this family.I would exactly write this letter if it were to be my Dad. The billions being wasted on this so called ‘Centenary’ award, is a misplaced priority!!! Thousands of people are dying everyday for lack of food, water and basic social amenities that other developed countries are enjoying and all that bothers Nigeria is to bury billions in a ceremony to give already gone heroes awards and certain people who are alive. Some of these people being awarded were murdered for standing for the truth. What an irony to be tortured for what you stand for, you die as a result and then I’ll call your family to give your dead body body an award??? Absolutely ridiculous!!!! This is why I don’t blame people who are thinking right about certain decisions made by our dearest president. Every day by day, his adversaries advisers put him in ridiculous/mockery situation. 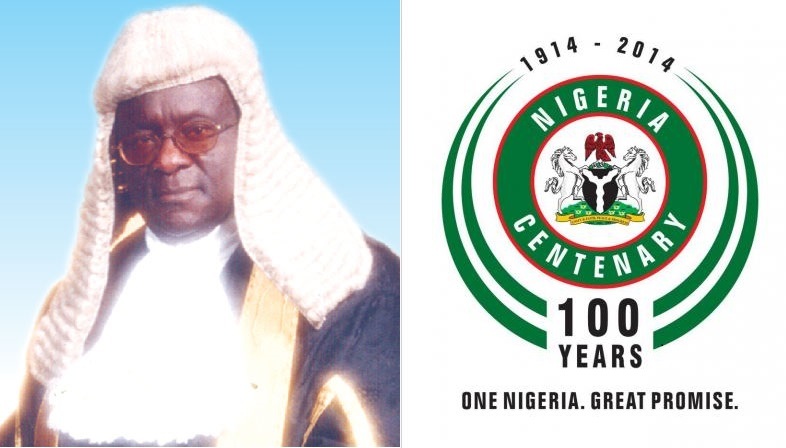 This entry was posted in Breaking News, News, Politics and tagged GANI FAWEYINMI, GANI FAWEYINMI'S FAMILY REJECTS JONATHAN'S AWARD, GANI FAWEYINMI'S FAMILY REJECTS JONATHAN'S CENTENARY GREEK AWARD, Nigerian Politics. ← Holy Hill Church Abuja Gave Members $100 For Coming To Church?? ?